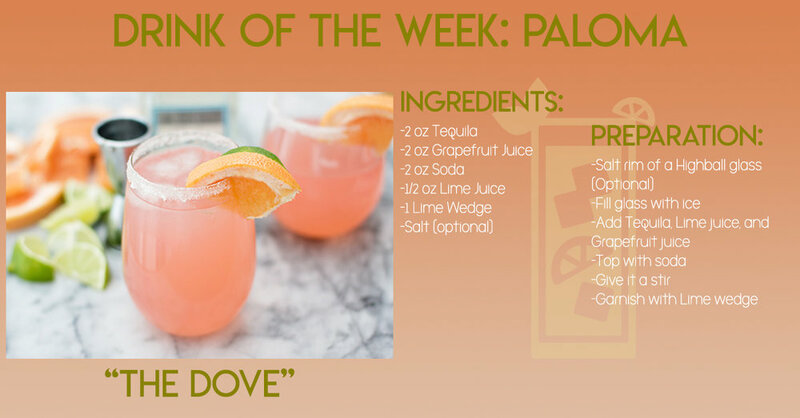 This week’s Drink of the Week is the most popular tequila-based cocktail in Mexico, the Paloma. Though it hasn’t garnered the same success in the States as the margarita, it has been gaining popularity in the U.S. especially in regions where grapefruit agriculture is in abundance such as Texas. 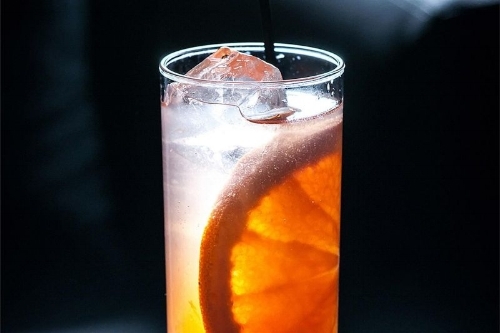 The Paloma is a mixture of tequila, grapefruit juice, soda, and lime juice served in a highball glass. There are variations where grapefruit soda is used in place of the mixture of soda and grapefruit juice or simple syrup is used to add a little more sweetness. Some other variations replace the tequila and make use of mezcal instead. No matter how you take this cocktail, with its crisp taste and fruity tartness, it is a great refreshing choice. Not much is known about the history of the Paloma. It is believed that Don Javier Delgado Corona, owner of the La Capilla bar in Tequila, Mexico, is to be credited with the creation of this tasty cocktail, but there is little documentation to prove this. Some people believe that it is named after "La Paloma", the popular folk song composed in the early 1860s. Though there is such sparse information on the history Paloma, it seems to be finding its place on bar menus throughout the U.S.
"La Paloma" is Spanish for, "The Dove". Maybe we won't ever know too much about the origin of the mysterious Paloma. Perhaps it's making history right now! Keep an eye out for this cocktail as it might become a staple of the tequila-based cocktail world. Drop in every week on Wednesdays to see what we pick next!